In today’s video we’ll learn about the 7 Basic Principles of Jewelry Design. In the video I’ll teach you the 7 principles, as well as illustrate them with an example. 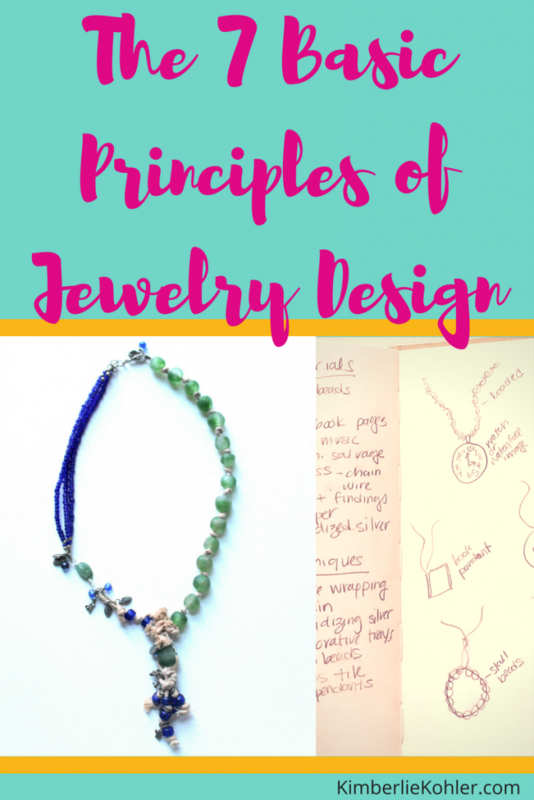 Most often you’ll probably only think about these principles if something is not working in a jewelry design. If that’s the case, I suggest you go through all the principles to make sure they’re all working. Not every piece will use every principle, but they’re important to think about when you’re designing jewelry pieces. Balance is the distribution of visual weights of materials, colors, textures and space in jewelry design. Emphasis is the focal point of the jewelry design that catches the viewer’s attention. It’s also referred to as dominance. Proportion is the feeling of unity when all the elements of a piece (color, size, amount, etc.) relate well to each other. Usually you don’t actually notice proportion unless something is out of proportion. All the elements of your jewelry piece should be in proportion to each other. You should also think about the jewelry piece being in proportion to the person wearing it. Movement is the path our eyes follow when looking at a piece of jewelry. Emphasis and contrast will create movement in your jewelry piece. Contrast is created by using components that conflict with one another, such as dark and light values. 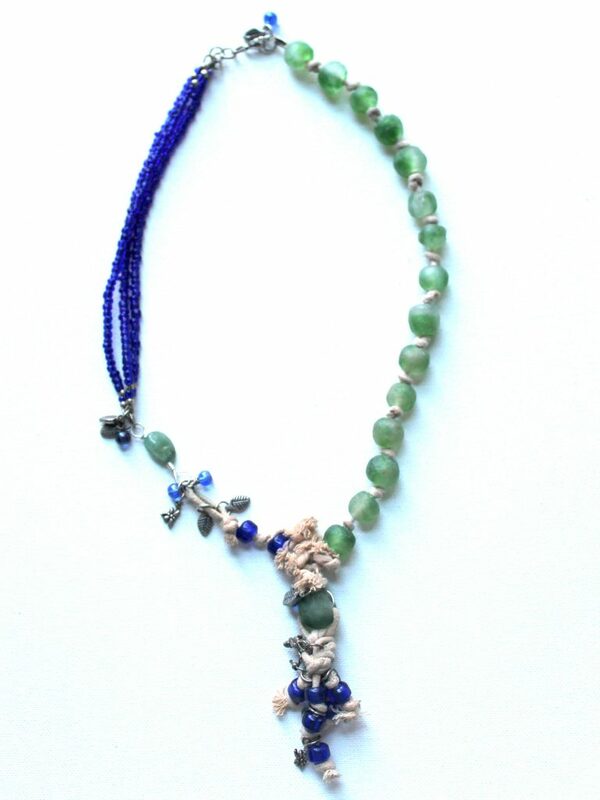 Unity is when the elements in a jewelry design work together. Harmony is how the different components in a jewelry design relate to and compliment each other. 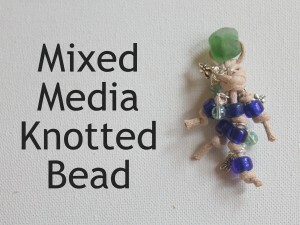 Learn how to make the Mixed Media Knotted Bead that is the focal point of the necklace in the example necklace here. 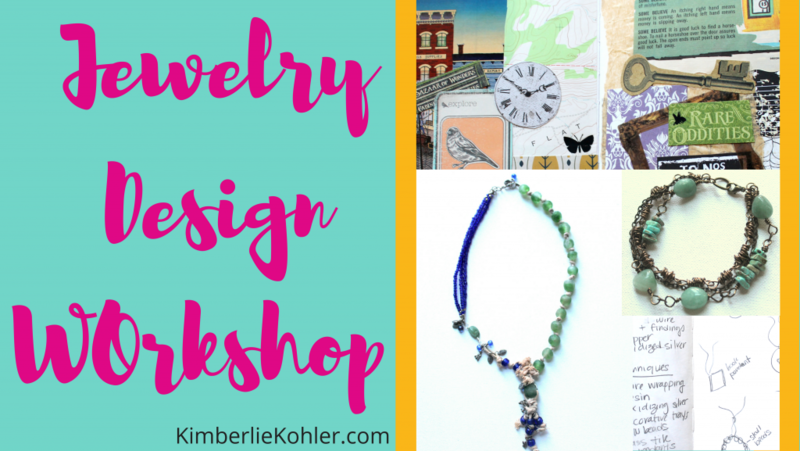 This entry was posted in Jewelry Design by Kimberlie. Bookmark the permalink. Thanks for explaining the 7 jewelry basics. Good to know, thanks for sharing. Happy New Year! 🙂 Thanks for your comment!